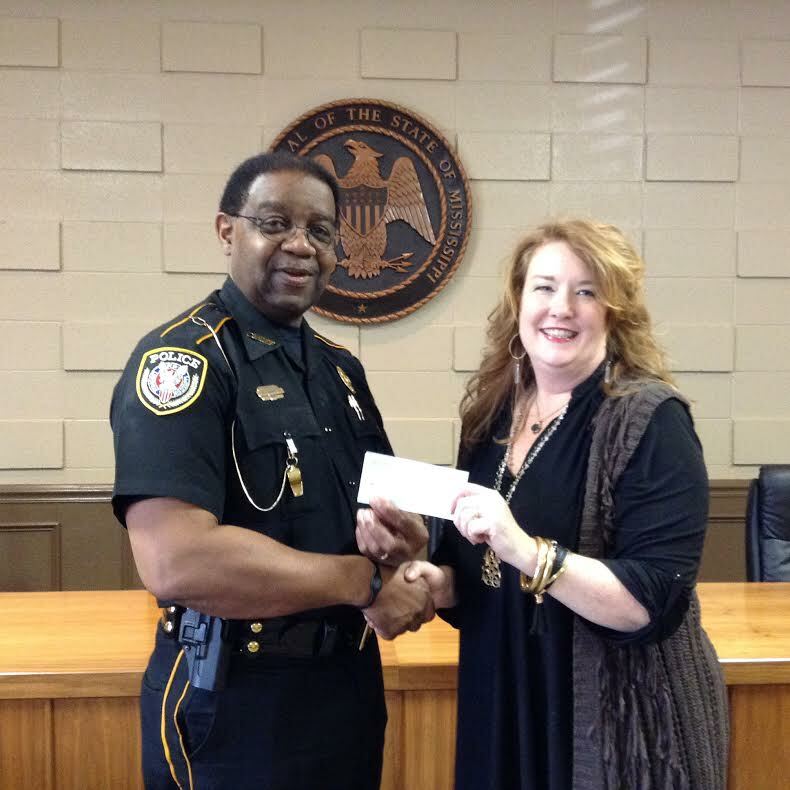 The Louisville Garden Club raised money toward the purchase of a body camera for the Louisville Police Department. The check was given to Police Chief L.M. Claiborne by Louisville Garden Club member Alice Wooten on Wednesday, March 16, 2016.